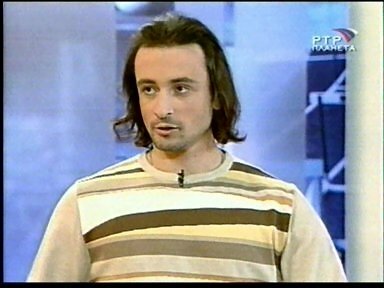 Ilia Averbukh was skating sucessfully with Marina Anissina, when he fell in love with Irina Lobacheva, who skated in the same group but with another partner. In 1992, they joined forces and were married in 1995. They moved to the USA in 1995, but they still consider Russia to be their home. Their Free Dance in the 2000/01 season tells the story of a man who is struggeling with his fate, but the fate prevails in the end. Irina Lobacheva (pronounced lo-bah-CHAY-vah) and her partner and husband, Ilia Averbukh, won the silver medal in the ice dancing competition in Salt Lake. They finished behind the winners, Marina Anissina and Gwendal Peizerat of France. It was the first Olympic medal for Lobacheva and Averbukh, who placed fifth in the same competition at the 1998 Nagano Games. 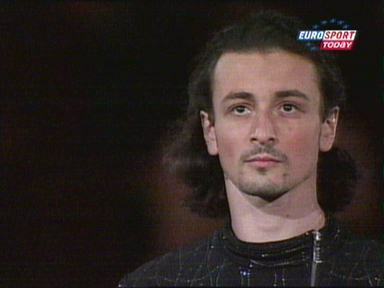 At the 1998 Nagano Games, Lobacheva and Averbukh placed fifth, which Averbukh says "was very good four years ago, but now it's different." The 1999-2000 season, he says, was bad for them, citing an early-season loss to Italy's Barbara Fusar-Poli and Maurizio Margaglio at Skate America in Colorado Springs, Colorado. "We never lost to them before," he says. But history repeated at the 2000 World Championships in Nice, France, where Averbukh and Lobacheva placed fourth, two places behind the Italians, and at the 2001 worlds in Vancouver, Canada, where the Italians (first) and French couple Marina Anissina and Gwendal Peizerat finished ahead of the Russians. It marked the first time that two nations other than Russia (world champions from 1994 through 1999) finished 1-2 at World Championships for the second consecutive year. A Russian, Soviet or Unified Team tandem has won all but one Olympic ice dancing gold medal since the event debuted at the 1976 Innsbruck Games, and 14 of 21 medals overall. The duo trains in Newark, Delaware, where they speak Russian, live in university housing, and present a university meal card before dining. They moved there to be coached by Natalia Linichuk and Gennady Karponosov, 1980 Olympic champions in ice dancing. The Delaware enclave also includes three other prominent ice dancing teams: two from Russia, including 1998 Olympic silver medalists Anjelika Krylova and Oleg Ovsyannikov, and one from Ukraine. Their romance began in 1991, and in 1993, they began competing as a couple. They won the first major competition they entered -- the 1993 Trophee Lalique. At the same competition, Averbukh's ex-partner, Anissina, placed third with Peizerat. Averbukh still smiles about this. After one and a half years skating as a couple, Averbukh and Lobacheva were married June 3, 1994 in Moscow.